This currency, the TON token, represents the company’s first real foray into cryptocurrencies. To date, they have more than 200 million users, and their platform has found quite a following in the crypto community. Known for its end-to-end encryption and incredible blending of personal privacy and broad reach, Telegram has become uniquely aligned with the cryptocurrency movement. It’s widely used as a communication tool for blockchain startups, and their privatized ethos makes it a natural fit for the crypto community. In initial documents about their ICO, Telegram indicated that they hoped to raise $1.2 billion through their private and public token sale. Clearly, things didn’t go exactly as planned. A Stunning Result. A Surprising Move. 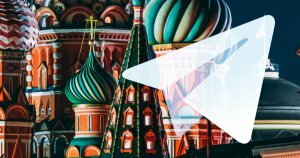 The crypto community has been clamoring for months over the prospect of purchasing Telegram’s digital currency. To the shock of many, The Wall Street Journal is reporting that telegram has canceled its planned public ICO after two rounds of private fundraising. A January article TechCrunch speculated that private investors might be required to offer a minimum investment of $20 million to gain access to the presale. Unlike other ICOs, investors were asked to contribute fiat money to the project instead of cryptocurrencies. Although the company has not confirmed the reason for canceling their public ICO, it’s widely assumed that they raised enough money in their private sale to support their blockchain initiative. Additionally, by shirking the public ICO, Telegram may be protecting itself from future regulatory oversight or restrictions that might result from the uncertain legality of the ICO market. Of course, this decision is not without consequence. Not to be deterred, many investors are taking to secondary markets to purchase the TON token that Telegram issued with the sale. According to some reports, private investors have been reselling their tokens for more than three times the value of the initial purchase. Since early investors typically receive steep discounts on the token’s purchase price, that’s a reasonably prolific return for a platform that has yet to launch. What’s more, it illuminates a rarely acknowledge sentiment in the crypto community: the wealthy still rule the day. For new digital currencies, the most affluent investors often get the first crack at investment, and, in situations like this, they can use their opportunity to create a robust secondary market from which only they can profit. In the meantime, it seems like Telegram is well-funded for its new project, and it will be exciting to see what developments roll out in the future as the Telegram Open Network continues to develop.